Children's Advocacy Center of Southwest Michigan's goal is to end child abuse. They are not only raising awarness, they are getting involved. They hosts the Children's Assessment Center (CAC) of Berrien County. This progam's purpose is to facilitate and coordinate the work of organizations responsible for the investigation of child sexual abuse. Through this program they hope to reduce the added trauma of an investigation on a child. Their mission is to support children through a coordinated response to child abuse and neglect that includes prevention, assessment, and intervention. Their board consists of 18 members from all over the county serving in various capacities. 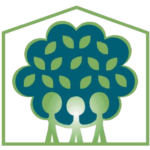 Donating to the Children's Advocacy Center of Southwest Michigan will help end child abuse in Southwest Michigan by supporting programs like CAC.